– serve with crackers, veggies, pita, or a baguette. enjoy! Oh wow. That looks absolutely amazing. Love how it's a healthy treat. MMmmm yummy! definitely making this! Dips are my life right now. It's such a super easy healthy lunch, and a dollop of hummus or bean dip is such an easy way to add some flavour and interest to an otherwise samey dinner. Thanks for the inspiration. Why didn't I think of that? Such a great thing for a party, thank you. Yumm! 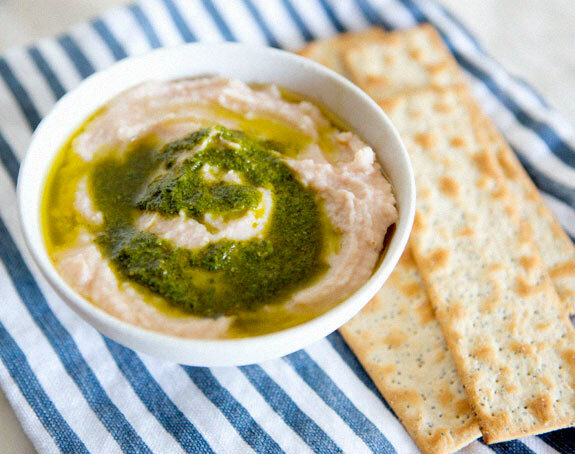 I absolutely love white bean dip, more than hummus even. I find the white beans to be so much more smooth than chick peas. I've never tried it with the pesto, so I'll have to give this a try asap! i'm hosting a shopping party next week and planning small bites for the ladies. 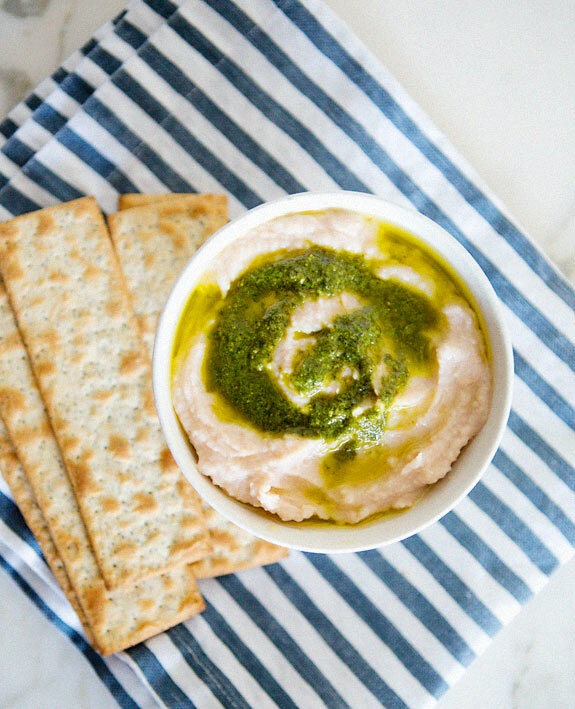 this hummus dip sounds like the perfect addition! Usually I don’t learn post on blogs, but I wish to say that this write-up very pressured me to check out and do it!